Right now I’m working on my next book, Super Attractor. Throughout my writing process I’ve been revisiting some of my favorite books on spirituality and personal growth. I want to share six of them with you today. I hope these amazing books help inspire and support you on your spiritual path. I have many books on the topics of spirituality, self-help, personal growth, wellness and related topics. 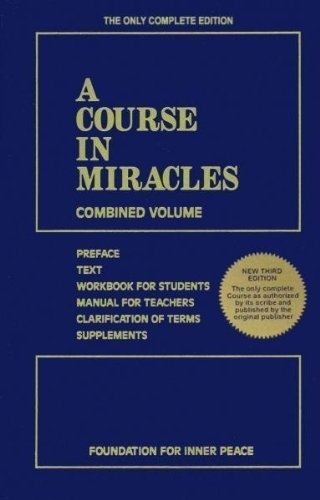 One of the most important books on my shelf is A Course in Miracles, which has been part of my own teachings since I studied it. My own book May Cause Miracles offers a 40-day guidebook based on the teachings of A Course in Miracles, and the Course influences all my books. In this post I am sharing six books in particular. These six books are very special to me for a few reasons. First, I was guided to all of them. I could not deny the pull I felt toward them. When you feel guided toward a book, do not ignore it! That is your spirit guide sending you a very strong message. Second, I read each of these books in record time. Once I started them I couldn’t put them down! I’ve read all of them multiple times and they’re still page-turners for me. Finally, all these books have helped me to become a better writer and teacher. When I first started writing, I had no clue what I was doing. I just knew I had a message I needed to share. I’m extremely grateful to each of these authors for their beautiful books. They helped me become the writer and teacher I am today. These books have inspired and supported me along my spiritual path. I hope they do the same for you. I hope they help you heal, grow and deepen your spiritual connection. When I was 25 years old and newly sober, my first sponsor in my recovery group came up to me one day and handed me a book. She said, “I just changed your life, kid.” The book was A Return to Love by Marianne Williamson. I read A Return to Love in one night. I had finally found exactly what I was looking for. I had found the messages, the principles, the tools. I had found a new way of perceiving the world. It was as if I was standing in this bright light. All the darkness that I had been believing in no longer had meaning as it related to this new text that I was committing to. I surrendered fully to the practices and I became a student of Marianne Williamson’s. 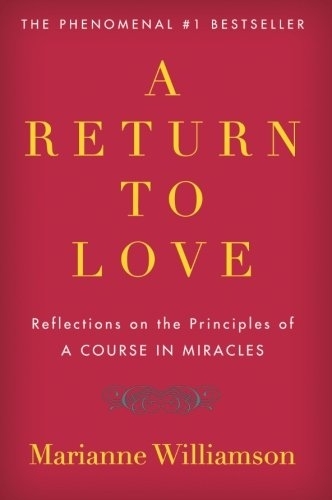 A Return to Love got me on the path to studying the metaphysical text A Course in Miracles. If you’re interested in the Course, read this first. I think Marianne is the best translator of the Course. In time, Marianne became my teacher and my good friend, and I continue to learn from her. Around the same time when I was becoming committed to the Course, one of my good friends gave me the book The Disappearance of the Universe by Gary Renard. She told me she just had a sense that I was supposed to read it. She was right. This book is the next-level of interpretation of A Course in Miracles. When I finished it, I was able to pick up the Course and read it as easily as if it were a newspaper! The dense language was no longer a barrier for me. Gary experienced a spiritual awakening in the 1992. Two of his guides, identifying themselves as ascended masters, appeared to him. Over the course of nine years, he channeled those guides to write The Disappearance of the Universe. While this might sound pretty heady and esoteric, this book is actually extremely accessible. What I like most about it is that it’s a very direct, straight-talk way of teaching a difficult text. It makes the Course so much easier to digest. When I was writing my first book, Add More ~ing to Your Life, I needed help on finding my voice as a writer and structuring a book. One night I woke up in the middle of the night and felt guided toward my bookshelf. This was a massive bookshelf that took up an entire wall of my studio apartment. I’d inherited many of the books on this bookshelf from my dear friend in recovery, Lauren, who died at 26 years old. Early in my career I gave out many of her books to my own coaching clients because I wanted to carry her legacy. So in the middle of the night I woke up, worried about how I was going to create an outline for this book, and I felt this pull. I was literally guided to Living in the Light, and I pulled it off the shelf. It was one of Lauren’s books. I read it in one night. The author, Shakti Gawain, teaches about how to connect with your inner guide and bring awareness to every part of ourselves. 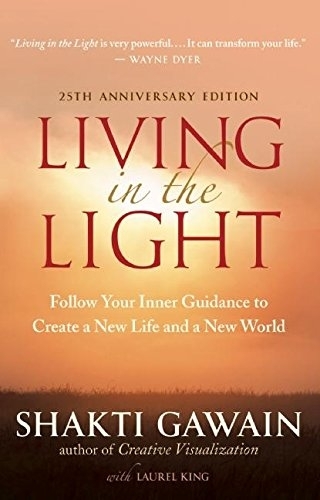 Not only did Living in the Light resonate with me spiritually, it also gave me a clear understanding of how to talk about inner guidance in a more accessible way. As I was reading it and absorbing its message, I thought, “This is how you write a self-help book.” I know Lauren guided me to get that book of the shelf. I dedicated Add More ~ing to Your Life to my friend. This book introduced me to past lives and past-life therapy. It helped me understand that some of the energetic disturbances we experience could be from another lifetime. If you have unexplainable issues that you struggle with, in this book you learn that there’s another way to perceive your life. 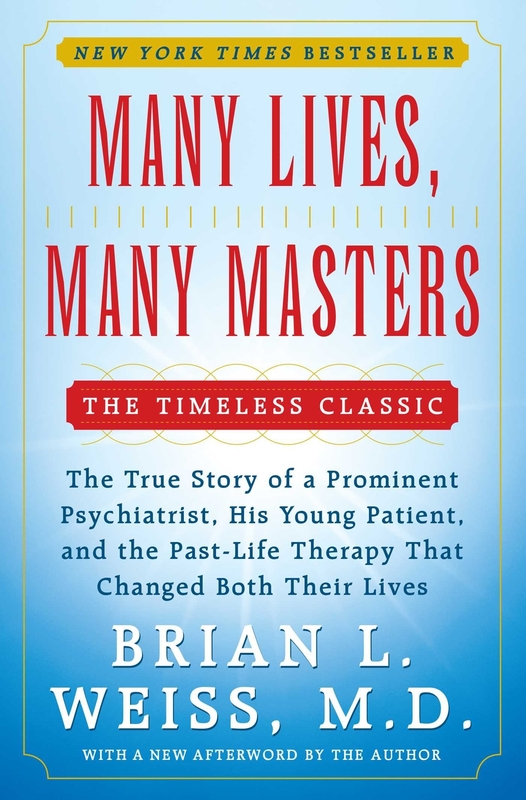 Thanks to Many Lives, Many Masters, I learned that you can heal what happened in past lives and you don’t have to be the victim of unhealed trauma. I read this book many years ago and just listened to the audiobook recently. 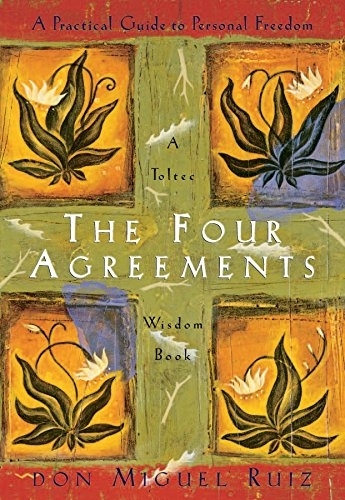 The Four Agreements is rooted in wisdom from the Toltec culture of ancient Mexico. It offers such simple and transformational content that everyone should read. My favorite of the Four Agreements is “Be impeccable with your word.” Your words are powerful, and they create your experience. This book taught me that we must use our words in the direction of love and truth. What I love most about this book is the simplicity. It’s very easy to apply. It’s a great place to start and is relatable to everybody. It will meet you where you are. While writing Super Attractor, I returned to Wayne Dyer’s incredible book to strengthen my faith in manifesting. What’s so special about Manifest Your Destiny is that it goes deep. Wayne emphasizes attuning our energy and becoming what it is that we want to attract. We must assume the energy of whatever we want to manifest and align with God. This is the spiritual backbone of manifesting. Our work is to get in tune with the Universe. 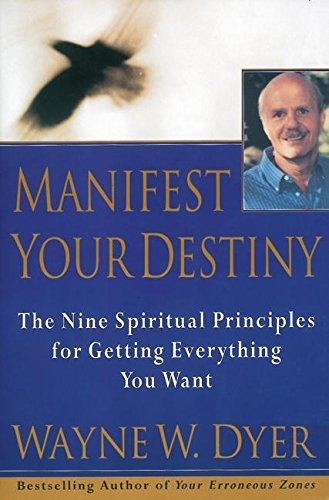 Manifest Your Destiny helped me understand the importance of my energy and of putting my faith in a higher power. In my career I hope to carry Wayne’s message to new generations. He was my teacher, friend and guide. In The Universe Has Your Back, I talked about the miracles I experienced as a student of Wayne’s. When I published Add More ~ing to Your Life, I was so grateful for his teachings that I mailed him a copy of the book along with a note thanking him. I didn’t expect a reply at all; I just wanted to express my appreciation. A few weeks later I received a letter in the mail. I opened the envelope to find a handwritten note from Wayne Dyer! He thanked me for the book and encouraged me to continue moving forward with my career. I was blown away by his generosity and love. Several months later I attended a Hay House event in New York City where Wayne was the headline speaker. I was sitting in the front row hanging on every word. Midway through his talk Wayne grabbed a book from a table on the stage and started talking about a young new author who had published her first book. He said, “This young woman will be on this stage one day speaking to an audience this large. 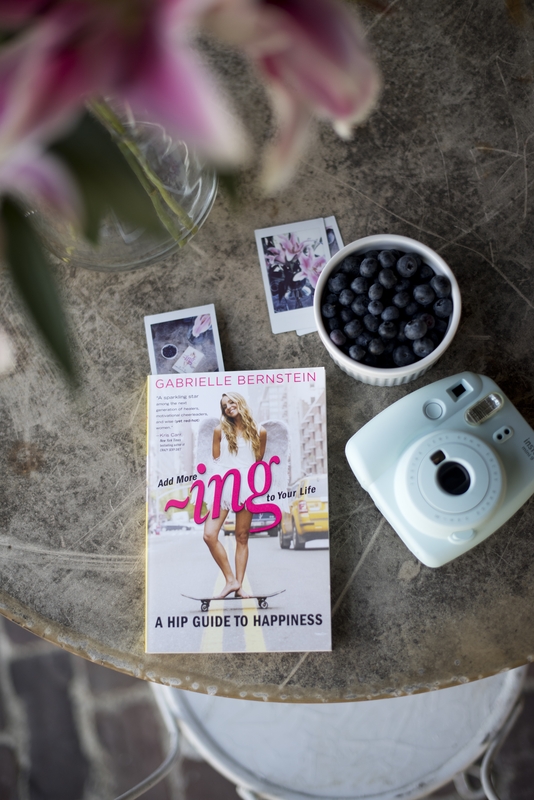 She will be a fantastic teacher and I want you all to go out and buy her book.” He then said, “Gabrielle Bernstein, please stand up and say ‘hi’ to the audience.” I was shocked! I didn’t realize that he was talking about me! I stood up and waved to the audience and thanked Wayne for his generosity. That moment was better than anything I’d dreamed about. I had applied the principles from Wayne’s book and manifested my destiny! I hope these six books inspire and support you on your own spiritual path. They were integral in helping me stay consistent with my spiritual practices. In fact, the habits I created as a result of turning to these books again and again helped inspire me to create my Miracle Membership! I created the Miracle Membership because it’s exactly what I wanted all those years when I was poring over these books, going to talks and listening to lectures on CDs. I designed the Membership to give you the guidance, structure and support you need to stay consistent on your spiritual path! Thanks for sharing your favorite books. Reading your books makes me feel that I have read all these books..
Hi Gabby I want to read so many more books and even though I’ve finished “The Universe has your Back” I feel there is so much more for me to learn from that book. It’s like a can’t fit everything in and I’m scared of forgetting what I’ve read. I don’t want to go down the path of reading heaps of self help books loving them but still not getting where I want to go. I think I have some decisions to make re what’s getting in my way! Thank you for all your hints and reminders they certainly keep bringing me back to what I need to be doing! I Love this list and share many of these favorites with you. Loved the Wayne story. Mailing you my book soon, because your eye and friendship are like that for me. Wonderful! I have read half these books. The Four Agreements I could not accept for some reason. I just didn’t think it was my time, like Miracles. I will definitely read Disappearance of the Universe. One book I would suggest, each time I read it something new opens to me. The Way of the Wizard by Deepak Chopra. I have read Disappearance to the Universe about 5 times and now busy reading it again. 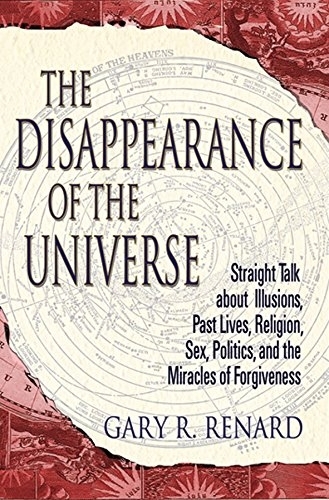 Spoken Miracles: A Companion to “The Disappearance of the Universe” is also very worth reading. Thank you Gabby for sharing all your wisdom with us. Love from South Africa. I have read 3 out of the 6…with ACIM being the book that shifted me to deepest. Wonderful post!!! I’ve read several of the books mentioned and could not agree more with the beauty and powerful inspiration the words bring forth. I believe my books “ find” me at the perfect time! i just finished reading the four agreements again,for the 4th or 5th time. this book has literally changed my life. i was thrilled to see it on your list. I am currently listening to Marianne Williamson in her free audio series on “A Course in Miracles” and have also listened to Alan Cohen. Her book is the next step so it is on my list for sure! Also, I loved Don Miguel Ruiz on this year’s Hay House Summit so am thinking about his book too! Thanks Gabby for always being such an inspiration to me! Thank you so much for this blog post! It’s fabulous! I have a couple of these and will be ordering the others. You’ve never steered me wrong. I look forward to reading these. Thank you so much. These books are wonderful. The one book I did put down – it was like my soul was telling me to wait before reading this – was The Four Agreements. I think I will start it again soon. I have never heard of The Disappearance of the Universe. This is definitely next on my list. If I may suggest one book. It is one I have reread with numerous takes each time is The Way of the Wizard by Deepak Chopra. Wonderful book! Thanks for sharing! I am really interested in Many Lives, Many Masters and Manifest Your Destiny. I’ve already read 3, and I just downloaded 2! Thanks for the suggestions. I am always looking for more wisdom to soak up. Keep them coming! Thank you for this! I wanted to tell you that I have experienced an amazing energy shift when getting your emails and reading your blogs lately. It’s as if I can feel your generosity and for some reason just feel that it might be a shift going on with you! I wanted to tell you in case it serves you. Sending love and thanks! what a nice thing to say. I really appreciate that feedback. I want to give you as much as I can. Big love sister. Thank you for you love and wisdom Gabby! Thank you for your love and wisdom Gabby! Thank you. I’ll be updating my library. Just trying to decide if I want them on mykindle, audible or paperback. Awesome list. Thank you for the post! Can’t wait to read one! Wow!! Love this! You signed my book yesterday at SJM in NYC with “Be the light.” & as the universe would have it I stumbled upon the book “Living in the Light”, post my meditation meeting this morning, on the book shelf that was full of free books as I was leaving the meeting. I had never heard of the author but the title drew me in due to your message and then boom! I see this post. I know what I’ll be reading tonight ;-). Thanks Gabby for continuing to support me on this beautiful spiritual journey & reminding me the universe has my back. Much love! Thank you Gabby for all these tools and love you bring to my life. I’m fully committed since I met you through your books and lectures to follow my Spiritual Path and be abundant. Love U!! Thank you! Mahalo! I have been drawn to you and how you explain things. I just got all of these! I have read all your books and your teachings (I could open any page in any book) will center and remind me of my right path. This is so great. Brilliant post! you’re on the right path for sure! Thanks for sharing! ❤️ I am a student of the course, but I asked for more understanding of it and There was your message in my inbox. I searched online for the book of Marianne translated in Dutch, but they’re not available until the end of a June. So I went to a second-hand bookstore today. And the Universe had my back; the book was waiting for me on top of a big pile of books. In front of all the other books! That was a sign! I smiled and felt grateful!! Thanks you!! ¡Gracias Gabby! You always with the right message at the right time. I just recently read A course in miracles made easy by Alan Cohen. I love his 365 daily dose of sanity book so much I keep a perma link on my sidebar. Love the daily application. Yep – started tearing up when I read about you standing up on that stage! I’ve loved “The Four Agreements” for years, as well as “Many Lives Many Masters,” so I’m excited to read some others on your list! I read with interested your invitation to your blog about the six books. I was surprised, to see I had read all buy one. I am currently reading the Disappearance of the Universe with my ACIM study group. I’m having so much fun with this one. It seems a bit playful with Gary’s whit and writing style. I too find that this is helping me understand the language of ACIM more easily. Once again, hearing you loud and clear sister/teacher.